There are many aspects to “culture” in society, but the culture of food is one of the most celebrated. The Aurora Farmers’ Market and Artisan Fair invites you to celebrate Culture Days on Saturday, September 30 at a Soup Fest honouring Canada’s Sesquicentennial. 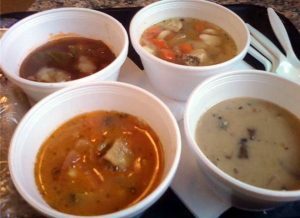 Market chefs have created delicious soups for your enjoyment, each with a Canadian profile or history. Ingredients will be primarily sourced from the Market and recipes will be posted on the AFM website. Cathy (Catharina’s Café) will be making a Bean and Bacon Soup inspired by a recipe from “Pioneer Village Canadian Settlers Recipe Book”. The Indigenous peoples introduced this soup to early settlers and the simmering smells and taste remind Cathy of the hearty soup her dad used to bring home. Jan (Jan’s Country Pantry) is serving a Parmentier Soup, which is Vichyssoise served hot and without the cream. This selection was made based on Jan’s love of the versatile potato. When treated with respect and with limited adornments of butter, cream or cheese, potatoes are nutritious being high in vitamins and potassium. Gabriel (Gabriel’s Café) will be offering a Canadian Cheddar Soup inspired by his love of cheese. Canada’s cheddar is well known and respected internationally, and features prominently in many dishes. Pascal (La Brehandaise Catering) has selected a Potage Cultivateur Farmer Soup. This hearty soup is a fine example of classical French cuisine and has its origins in the medieval cuisine of northern France. The recipe was chosen because it is simple and economical to make – if you don’t use too much bacon! Chad (Speak Easy Fine Foods) found his inspiration for a flavourful Curried Squash and Apple Soup in the many varieties of apples grown in Canada. The main ingredients of squash and apples will be readily available at the Market from now until the end of October when the outdoor season concludes. Start your Culture Day experience with a sampling of the many aromas, textures and flavours created by Market chefs and have your Culture Days passport stamped to win prizes. The Aurora Farmers’ Market and Artisan Fair is located at Town Park, 49 Wells Street. 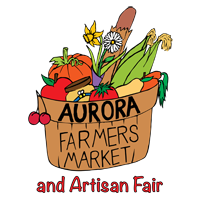 To learn more about the Market, visit theaurorafarmersmarket.com.